Last month I reviewed some Kerastase products, you can read all about them here. Being that I am still on a nice Kerastase kick since I have been loving the results and I did buy other products during my Black Friday Haul. I have more product reviews to share! What They Say: Daily, reconstructing shampoo for weakened to very damaged hair. Rebuilds and strengthens the hair fiber at all levels of hair erosion. Reconstructs hair, intensifying strength from roots to ends. Helps prevent breakage and split ends with patented Intra-Cylane. Smoothes and protects surface of the hair fiber. What I Say: I wish this shampoo did not have sulfates. Before starting use of Kerastase products a couple months ago, my hair was experiencing some major damage and just not looking up to par despite obsessing over it and using other great products. 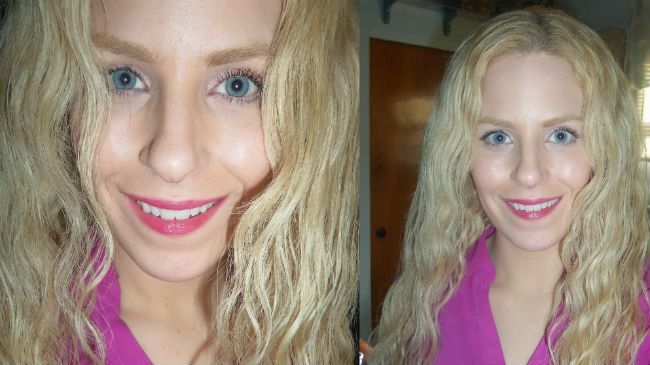 I kind of threw my old CG method rules out the window, at least temporarily--and tried this shampoo, sulfates and all. It smells light and for a shampoo that is not sulfate-free, and I was surprised how soft and conditioned, clean but not stripped it left my hair! I've used sulfate-free shampoos that left my hair feeling more dry and rough compared to this. That being said, I am still too much of a "sulfate-phobe" and when I use this now, I usually use a sulfate free cleansing on the lengths of my hair for caution. What They Say: Reconstructing masque that instantly replenishes weakened to very damaged hair. Intensely replenishes while rebuilding holding structure of hair fiber. Smoothes, heals and protects hair. Helps prevent breakage and split ends with patented Intra-Cylane. Fortifies every strand from within for maximum effectiveness. What I Say: This is on my Holy Grail Masque list now. The jar is expensive, but if a product will work for my hair I'll make room in my budget for it! Our hair is our best accessory and we wear it every day. I am all about anything that helps prevent breakage and split ends. My hair drinks it in and I like the idea that it is making my hair stronger with each use. Detangling was easy with this mask and I feel my hair is coming back to life with it. What They Say: 85% less breakage from Blow-dry, Strengthens and fortifies the hair fiber, Smoothes away cracks and split ends while adding shine, Excellent leave-in care. Vita-Ciment strengthens fiber from inside. Vita-Topseal recreates external protective layer. What I Say: I contacted Kerastase direct about this one (the contact us feature on their site is very helpful), since I don't always blow dry my hair I wanted to make sure it was okay to be used while air drying. They said it is heat activated and doesn't offer much without heat. The couple of times I did use it while diffusing, my hair was not as puffy or frizzy and the diffuse came out better than usual. What They Say: The first reparative dual-serum that targets the highest level of hair erosion and fill the gaps in the fiber. Reconstructs hair intensifying strength from roots to ends. 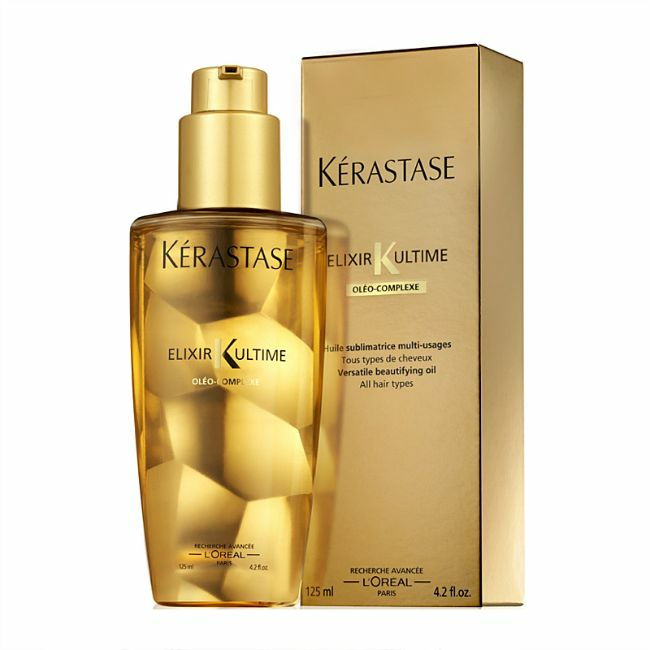 Use in conjunction with any Kérastase Thermique for long lasting results. Repairs and seals split ends. Delivers long lasting styling results. Gives a non-greasy, fresh haircut feel. Smoothes the surface and adds shine. What I Say: Nothing can repair split ends except a trim. I do like the idea of temporarily sealing them and binding them together so the split doesn't continue up the hair shaft. I use a little on wet or dry hair, really focusing on my ends. I notice shine right away and again, I like the idea that with continued use my hair will become stronger and healthier. I use this prior to blow-drying as well for added protection, it's awesome! Overall, I do really like the Resistance Force Architecte line. I plan on keeping it in my rotation for a while so my hair becomes stronger and healthier. I actually do feel I have been getting less breakage since adding these to my routine, and that is wonderful. And I'm still surprised how much I like the shampoo even though it contains sulfates. What They Say: Versatile nourishing oil that provides ultimate shine, softness and nourishment for all hair types. Multi-use oil that can be used pre and post styling. Delivers ultimate shine, deep conditioning and nourishment. Add softness, strength, and smoothness. Promotes cellular renewal with its anti-oxidant active ingredients. Helps restore strength to the hair and protects it from external aggressors. A blend of four precious scented oils that works for all hair types. Includes the OLEO-COMPLEXE of Maize Oil: Delivers emollient and anti-oxidant active ingredients for ultimate shine, Pracaxi Oil: Brings shine, nourishment and deep conditioning to the hair, Camellia Oil: Helps smooth the hair fiber, resulting in incredible shine and Argan Oil: Helps restore strength to the hair and protects it from external aggressors. What I say: This is a new Holy Grail oil blend for me. 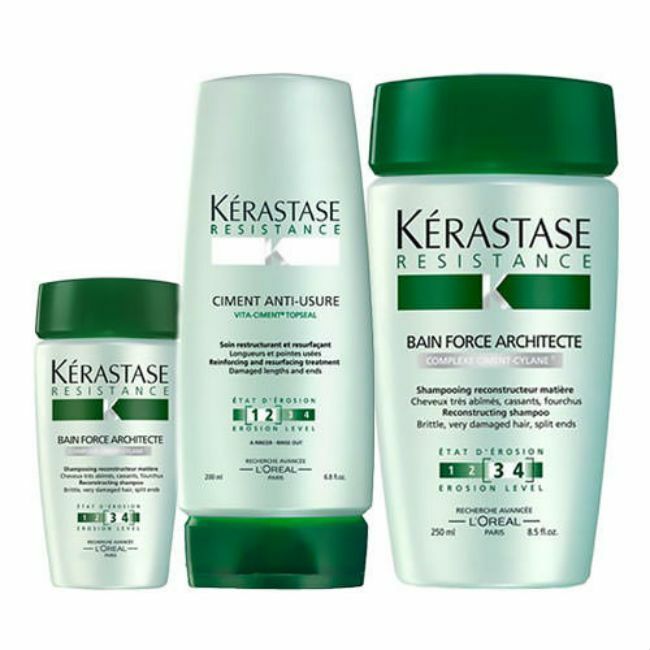 Though a lot of Kerastase products aren't, this one is silicone free. Be warned it is on the heavier side and may weigh down finer hair. But if your hair is unruly, unmanageable and out of control line mine, I think it will adore this stuff! It smells so good- like a musky vanilla. I like to use this oil to seal my wet hair or to add shine and help with frizz on days old hair too. It may also be used as a pre poo treatment. A little goes a long way. 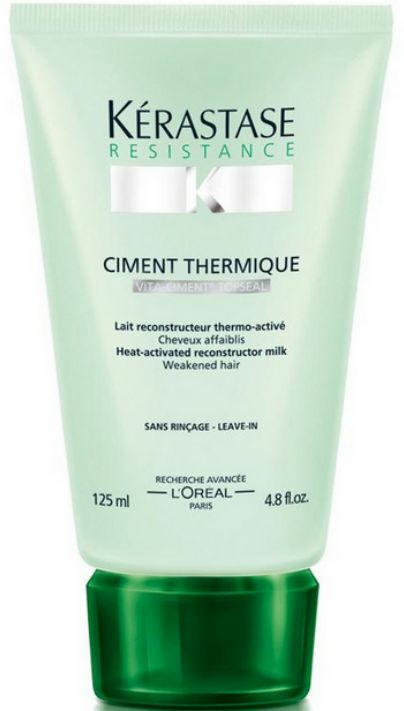 I originally reviewed this in my last Kerastase article but while I am here I figured I would give an update. I am continuing to use this product after every wash and truly believe my hair is behaving a bit better and growing a little bit quicker because of this. There is also less shedding. I am also STILL on my first bottle from November, which is awesome because usually hair products do not last super long for me.